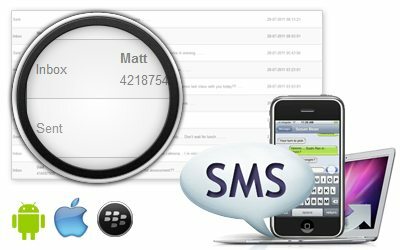 TheOneSpy SMS monitoring app empowers you to spy on all the inward and outward text messages even the deleted and hidden ones. Notably, spying is not just restricted to the text messages, but the MMS, BBM chat and iMessage can also be followed logging onto the TOS user control panel. How SMS Spy Software Feature Helps You? For the concerned parents who wonder what their children are always texting and to whom, spouse who suspect why their partners get their messages deleted after having a conversation with someone anonymous, and employers who are worried that their employees might communicate company’s confidential information to unwanted recipients, the Spy on Text Message feature is there to help them track the mobile phone conversations via text/SMS. Some texts that involves emojis or smileys will not be uploaded as we only support the text messages. An SMS Text Message involving any emoji or smileys will be missed out. We do not support smileys and emojis or any kind of MMS messages or Stickers.